The Villas at Disney’s Wilderness Lodge are getting renamed! Disney Vacation Club recently announced that the Villas will be renamed the Boulder Ridge Villas at Disney’s Wilderness Lodge. DVC says the new name will distinguish the area, gives the villas a more “rustic” feel, and allows Imagineers to bring the community’s story to life. The currently-under-construction Hidden Springs Pool at the DVC Villas will also be renamed at a later date. Construction also continues on the water-front cabins at Wilderness Lodge. 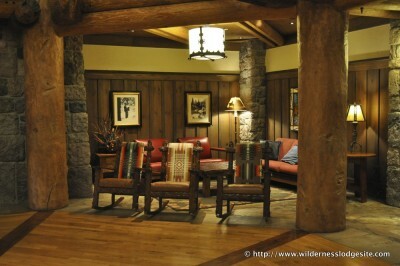 Those will reportedly be called the Copper Creek Villas & Cabins at Disney’s Wilderness Lodge. The construction is supposed to be completed in 2017. If you’re wondering what the resort looks like right now during the construction check out this photo gallery at the WildernessLodgeSite.com.